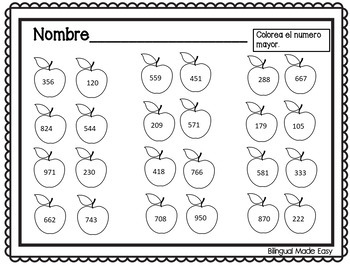 Save $$$ by purchasing this product which includes bilingual back to school worksheets and color by the code double digit addition worksheets. Help your English Language Learners ease into the new school year by working on skills taught the previous year. 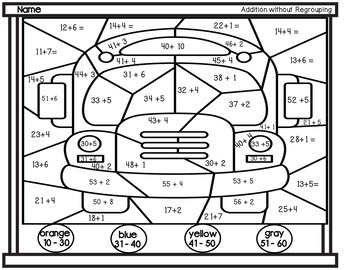 These worksheets were created in English and contain identical copies in Spanish. They can be printed back to back to easily include any non - English speakers. 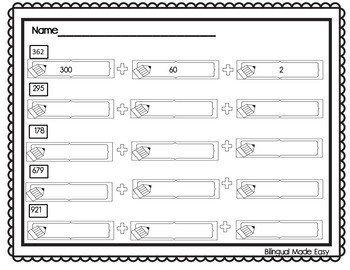 Included in the Bilingual Worksheets product are worksheets that include Math, Writing and Reading concepts. This bundle is perfect for a Bilingual, English as a Second Language or Dual Language classroom.